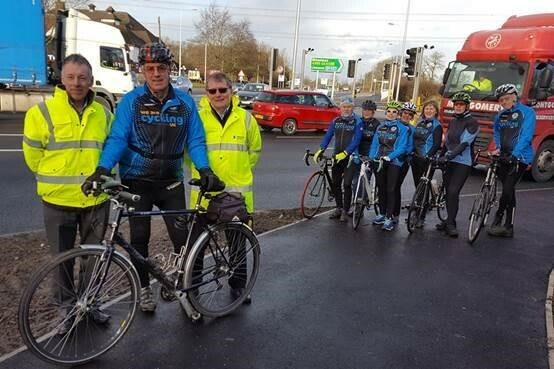 It said the cash will to help provide safer crossings and connect cycle schemes on England’s busiest roads with the charity’s 16,505 mile National Cycle Network, which is used by 4.4 million people every year for commuting and leisure. Highways England said the ‘pilot project’ will help it towards its target under the current RIS of 200 cycling schemes by 2021, which includes 150 schemes by 2020. The government-owned company has a £100m designated fund for cycling to provide improvements and new facilities that make it safer and easier to negotiate its roads. It said that so far 80 new schemes have been built and 286 crossings have been improved. Sustrans has identified a long list of opportunities and will work with Highways England to create a shortlist of schemes that can be taken forward quickly. Anita Konrad, Sustrans’ national director, England said: ‘We are delighted to be partnering with Highways England and welcome this investment that will make it easier for more people to cycle to work, the shops and for leisure.